Editors’ decisions are like buses, you wait and wait for a number 57, and then, just when you’ve given up hope, a whole string of them turn up. I’VE SOLD ANOTHER POCKET NOVEL TO PEOPLE’S FRIEND!! The latest one ‘Trust in Me’ will be published on December 13. Two ‘pockets’ accepted in the course of a week. Now, I’m not boasting! (Well I am, maybe just a tad) But, wow…wheeeeee! You can tell I’m pleased, can’t you? 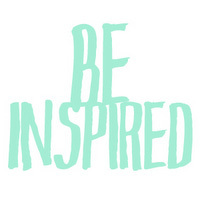 I’m also very happy at having the Be Inspired award passed on to me. I am especially pleased that it comes from the lovely Teresa Ashby, who is bringing out a third collection of short stories on Kindle in July, “A Portrait of Louisa & Other Stories” This writer takes ordinary people, puts them into ordinary situations – and creates extraordinary stories. So thank you, Teresa. All this leaves me with the dilemma of choosing which of the two PNs to talk about in the following questions. I’ll go with my favourite, which is the one I’ve ranted on about, above. In what genre would you classify your book? If you had to pick actors to play your characters in a movie, who would you choose? Give us a one-sentence synopsis of your book. Difficult. I hate writing a synopsis, but here goes – A legacy, a business that a jealous competitor is doing his best to destroy, and a village rallying to save the day. Novels every time. I love to immerse myself in the story and hate saying goodbye to the characters when it’s finished. Did you ever wonder if you’d have the work published? No. You just know when something works, and I would have gone on banging doors until somebody got fed up enough with me to publish it. Tell us anything that might pique our interest in your book. Hmm…well…och no, I’m not going to go there. These are the 5 inspirational people I have tagged with 10 questions about their books/anthologies/stories. Their mission, should they choose to accept it, is to answer the questions below, then tag 5 more writers with 10 more questions. 1. What is your title and how did you choose? 2. What came first – location, character or plot? 3. Did you enjoy writing this book or was it hard going? 6. Did you know the end before you started? 7. Which do you prefer – writing that first draft, or editing it? 8. Could you write a sequel? 9. When you type ‘The End’ are you elated that you’ve got there, or sad, knowing how you will miss your characters? 1 Which genres do you love and hate? Many huge congrats Rena, you’re certainly on a roll! Here are my answers…. 1. What is your title and how did you choose? Oh no, don’t have one yet as I’m doing this for the murder mystery pocket novel I’m writing now. I often battle with titles! 2. What came first – location, character or plot? Well, the location is Seaport, an invented coastal town I used in my pocket novel, ‘Safe Harbour’. The plot is my first full on murder and I know who is doing it and why, the other characters have emerged as I’ve gone along. 3. Did you enjoy writing this book or was it hard going? The first 19,000 words have really flowed fast. Now though that the plot’s getting complicated it’s harder! 4. Do you write in sequence? Always, I’m a pantster not a plotter so it’s easier for me to have a clear day by day timeframe. 5. Are you a planner or a plotter? (Explain) Ah, I should have looked on to see this question. I generally have a very bare skeleton of the plot in my mind. How it begins and how it ends. I then jump in the deep end, writing CHAPTER ONE and simply plough on, only making notes as I go. It’s the only way I can do it! 6. Did you know the end before you started? YES. 7. Which do you prefer – writing that first draft, or editing it? Writing the first draft every time. Editing is like wading through treacle. 8. Could you write a sequel? Yes, I plan this to be a series with the same lady detective hopefully. 9. When you type ‘The End’ are you elated that you’ve got there, or sad, knowing how you will miss your characters? Elated. I like to see something completed. 1 Which genres do you love and hate? I love reading crime and mystery. There’s nothing I really hate, I read very widely, anything that takes my fancy. Location! I used to live on Lake Michigan and I really miss it. I thought if I set a novel there, maybe it would help with my pangs of homesickness (it didn’t; I just miss it more than ever!). I enjoyed the first half, hit the saggy middle and was happy to wrap it up. I tend to start out strong and then kind of fizzle. Yes. My mind isn’t very good at non-sequential thinking. I’m afraid I’m mainly a plodder! I should figure out the whole thing but I get irritated with planning so I plunge in and then re-write, re-write, re-write. Editing. I’m always happy to add more than come up with something new. Elated, relieved and a little sad. Love family drama, romance. Not at all crazy about fantasy and science fiction. Very interesting, Nell. I think I agree with most of your answers, except perhaps your preference for editing rather than the first draft. I don’t mind getting my head down and forging through to the end of a book, but when I have to go through the whole thing again, and again in the edits, etc, I find that really taxing. Welldone Rena and glad you enjoyed my answers as well! Thanks so much Rena for including me in this! And congrats on your success! For those who don’t know me, I’m Olivia Ryan but I’m also Sheila Norton which is my real name – I’ve been published under both. My latest book is ‘Sophie Being Single’ (this time, only available as a Kindle edition). I chose the title because it’s the first of a series about three sisters – one single, one divorced, and one married. Definitely character! I really enjoyed creating Sophie’s character – she’s a resolute single girl whose sisters, friends and clients all insist on asking her advice about their boyfriends/husbands/children! Usually, but there are occasionally times when I have a good idea for a twist or incident later in the story, and write it up in note form so that I don’t forget it by the time I get there! I mostly rely on the characters to invent the twists and turns of the plot for me as they go. But I do usually have a rough idea of the overall story. This time – not exactly. But I did want Sophie to end up happy, although it was important that she stayed single! I already have! ‘Debra Being Divorced’, the second sister’s story, is currently undergoing the editing process and I’m looking forward to it being ready to publish later this year. A bit of both! Somewhat relieved, too, that it’s all worked out OK! I don’t really like supernatural – probably because I like writing very true-to-life stories myself. I like suspense, relationship dramas, emotional intrigue. And although I do enjoy some literary fiction, I really hate it when it’s too pretentious, especially when there doesn’t seem to be much of a story! You’re a girl after my own heart, Olivia. These could have been my answers. I’m always jotting down notes as I write – sometimes even lengthy blocks of dialogue if they come into my head. If I don’t get it down immediately I know I’ll forget it.